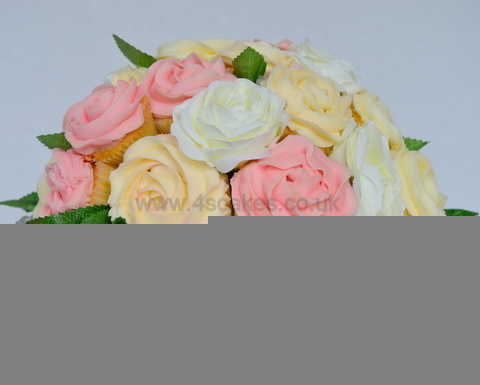 Cup cake bouquets can be a mothers day gift, a gift for the teacher or an edible table centerpiece for wedding, parties and events. 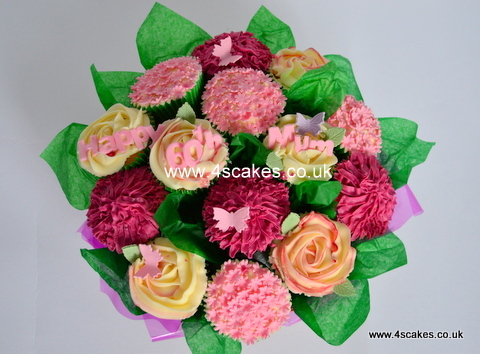 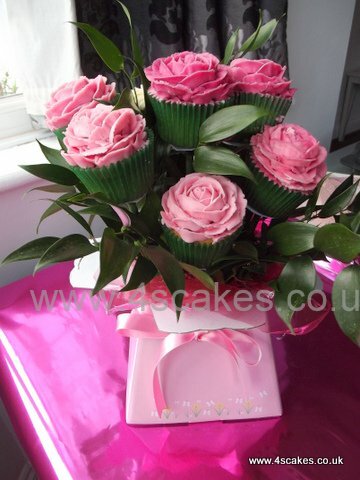 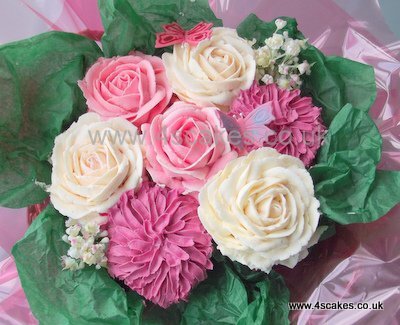 At 4S Cakes, we can make a bespoke cup cake bouquet to match your theme. 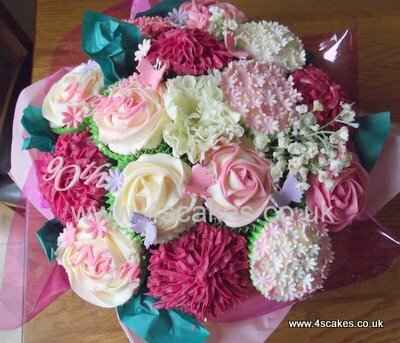 Our latest Bouquet, would be great as a Mother’s day gift or a edible table centerpiece for a wedding.Comes with 18 cup cakes and a free glass stand.